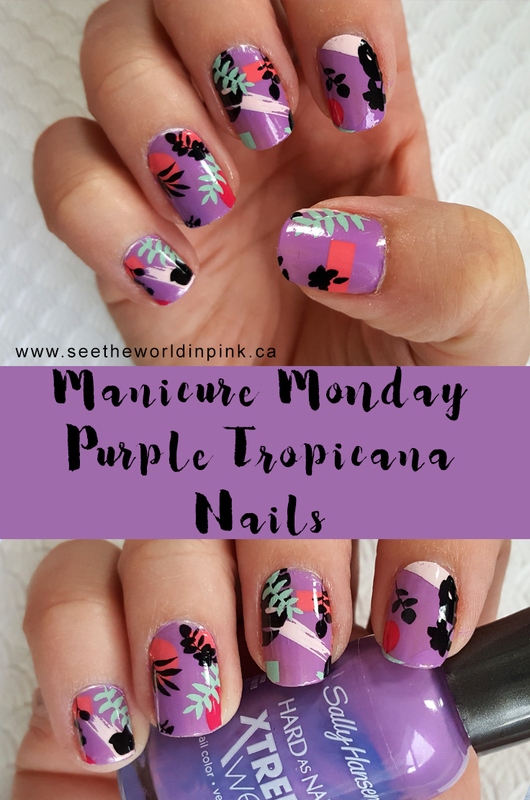 I am teaming up again this week with Jayne from Cosmetic Proof and Trysh from Prairie Beauty Love - and this week we chose "Purple" for our nails! 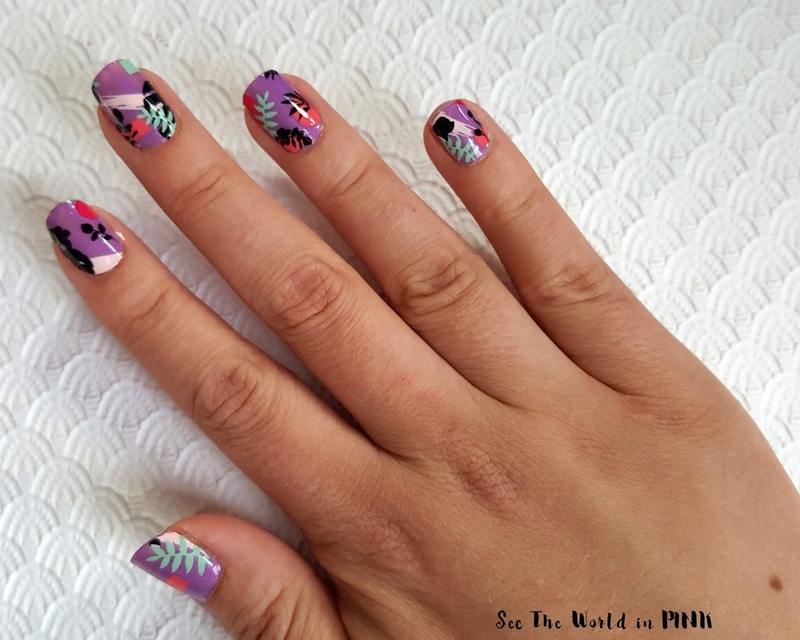 I love teaming up with these ladies for nail looks as they do amazing nails and while we work off the same theme, we always come up with such different looks! 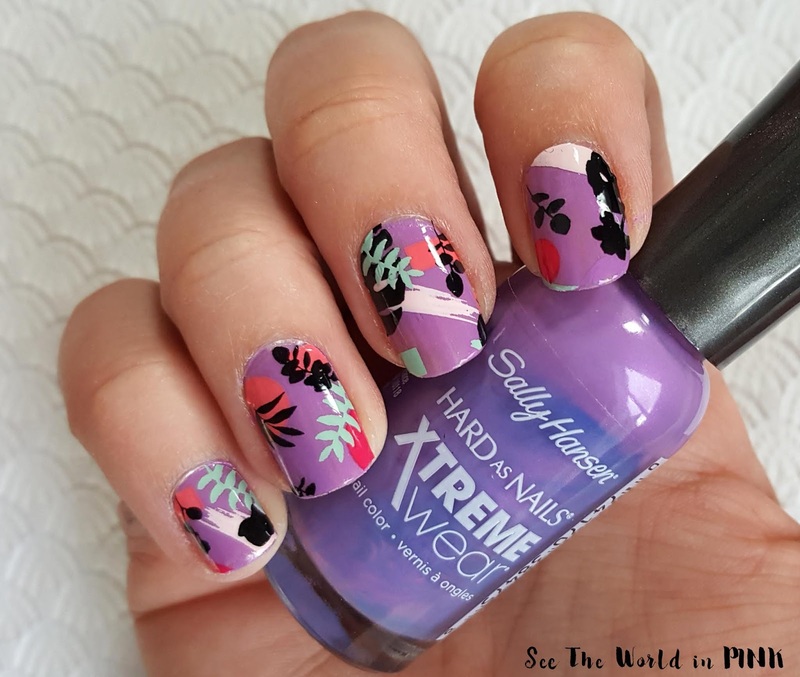 -Sally Hasen Xtreme Wear Nail Polish in "Violet Voltage"
-GoScratchIt and NinaNailedIt Nail Wraps in "Tropicana"
I also love this Violet Voltage shade as it is a bright violet with the slightest iridescent tint! Again, make sure you check out Cosmetic Proof and Prairie Beauty Love - I'm excited for their purple nails! I was just thinking about these Jamberry nail wraps that I got YEARS ago and how convenient they were for layering! This looks awesome Renee! 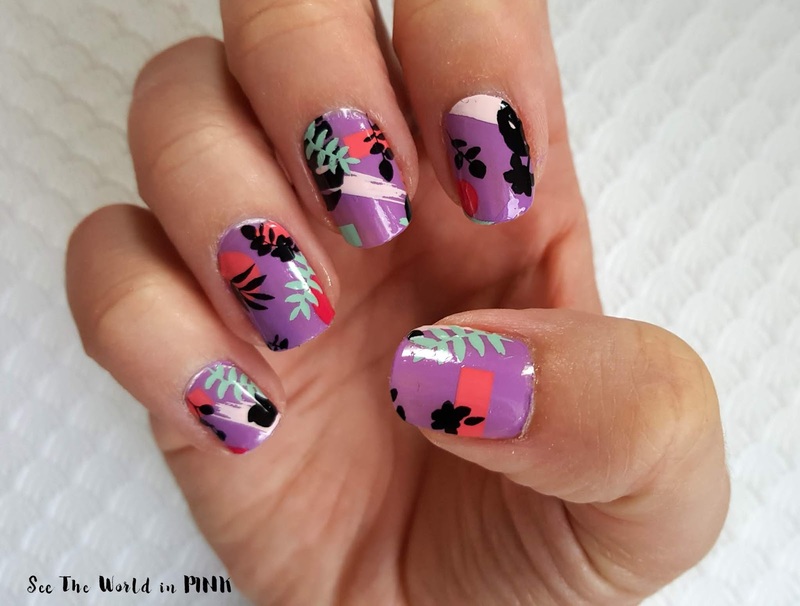 Agree wraps are perfect for a quick layering look - but, I will say trying both types, these wraps blow Jamberry out of the water!